The La Joya Juarez-Lincoln Huskies (3-0) will test the strength of their undefeated team against the Edcouch-Elsa Yellow Jackets (2-1) in The Monitor’s Game of the Week on Friday in Elsa. The matchup dates back to the Huskies’ infancy as a varsity football program in 2008. The schools were in the same district until Juarez-Lincoln’s enrollment called for a higher classification in 2012. The all-time series belongs to Edcouch-Elsa. Every single game. Only one meeting, in 2009, was a one-score game. This year looks to be a more intriguing matchup, because the Huskies have proven for three weeks they have a formidable squad, capable of winning in different ways. In Weeks 1 and 3, the defense held their opponents to single digits. In Week 2, Juarez-Lincoln scored 15 unanswered points in the fourth quarter to outlast Rio Hondo 36-33. Safety Elias Gutierrez and linebacker Joseph Valdez lead a stout defense that has been locked in on quarterbacks. The Huskies have seven interceptions through the first three weeks. The Huskies have flexed their offensive muscle in the early season, as well. The running game has been effective, with Albert Martinez rushing for 238 yards in two games. His brother, Efren Martinez, is the man under center and has tossed five TD passes so far. The Yellow Jackets will pose the biggest threat the Huskies have faced all season. Even though Juarez-Lincoln handled fellow 32-5A team Donna North last week, Edcouch-Elsa is a different animal. Jorge Gomez has been the key to the Jackets’ offense. In two games, he’s rushed for 313 yards and 3 touchdowns. His impressive 8.5 yards per carry will be a major concern for linebackers like Valdez at Juarez-Lincoln. Edcouch-Elsa QB Albert Trevino has thrown two TDs and two interceptions and may stay away from the air against the tough pass defense from Juarez-Lincoln. 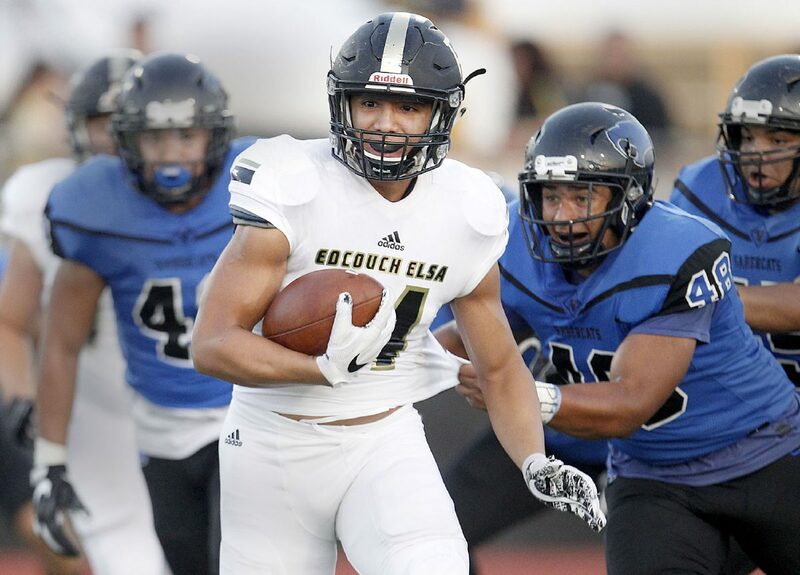 Edcouch-Elsa will be fresh after a bye week and hungry after dropping a 56-35 shootout against Edinburg Vela in The Monitor’s Week 2 Game of the Week. The home crowd at raucous Benny Layton Memorial Stadium could give the Jackets a boost. 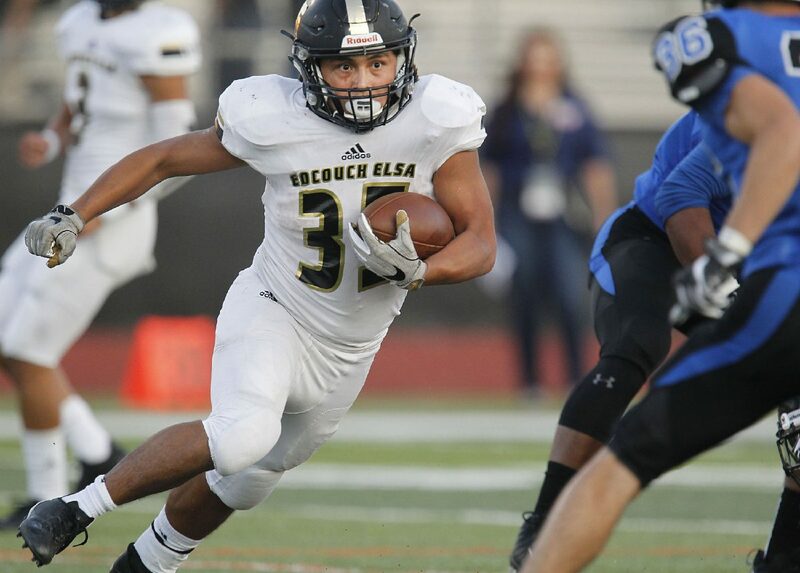 If Edcouch-Elsa rolls past Juarez-Lincoln, few will blink an eye at the results. But if the Huskies take their show on the road and knock off the perennial powerhouse program, more eyes will be on Juarez-Lincoln in 30-6A play.